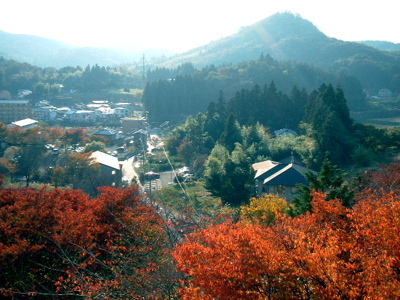 Houses among trees are in the west of Fukushima University. The mountain is named "Atagosan" or "Atago Mountain." This picture was taken in 8 November.